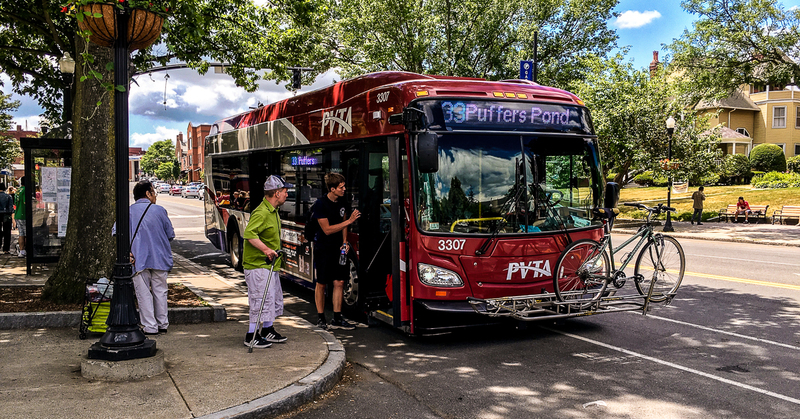 On Wednesday, July 19th, the Pioneer Valley Transit Authority Advisory Board will meet to considering significant cuts to the PVTA route network in Hampden and Hampshire counties. 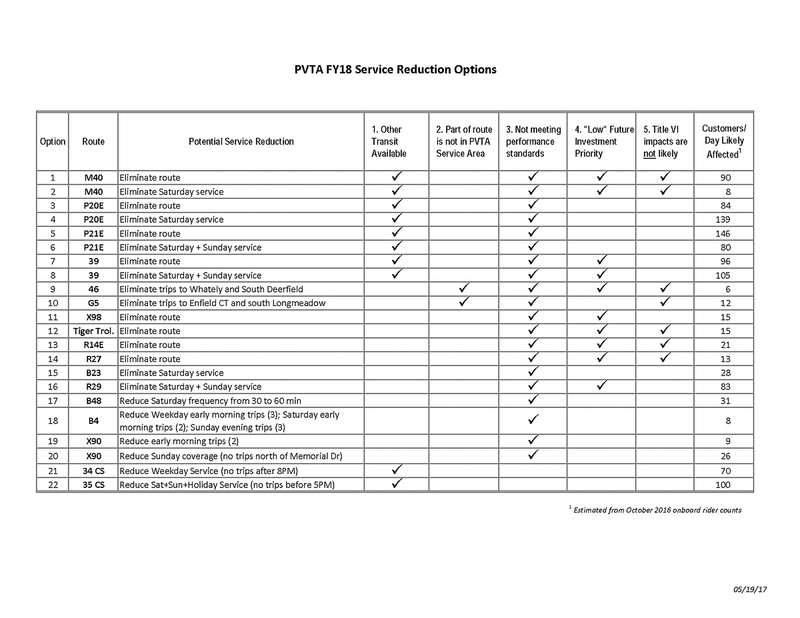 The possible cuts in service (detailed below) are driven by the need to address an operating budget deficit at the PVTA of up to $1.2 million for the coming fiscal year. We can’t speak to the details of the PVTA’s FY2018 operating budget but we can speak to the importance of the overall service provided by the PVTA in our region. The PVTA is the largest regional transit authority in the commonwealth. During the last fiscal year their fixed-route network carried in excess of 12 million passengers. Simply put — the services provides by the PVTA are absolutely critical to our region. And with minimal investment, new routes – across town or the region – can be launched. In particular, we are naturally very concerned about the possible elimination of M40 express route between UMass Amherst and Northampton since we know that there are aware of many UMass students who use this bus to travel to/from the train station in Northampton. We would encourage the PVTA Advisory Board to find other ways to cut costs and enhance their passenger revenue streams before cutting major routes. 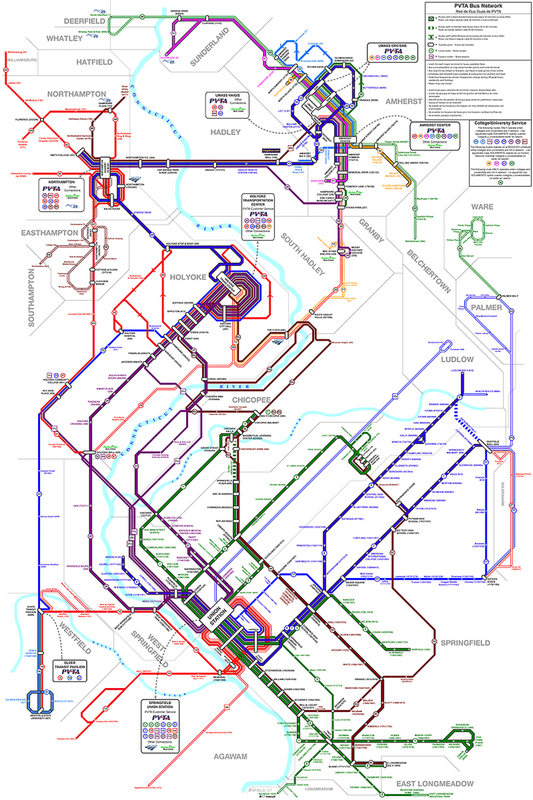 On a more positive note it must be mentioned that Franklin Regional Transit Authority (FRTA) has no plans to cut any of their major routes and instead will be adding two new routes starting in September. 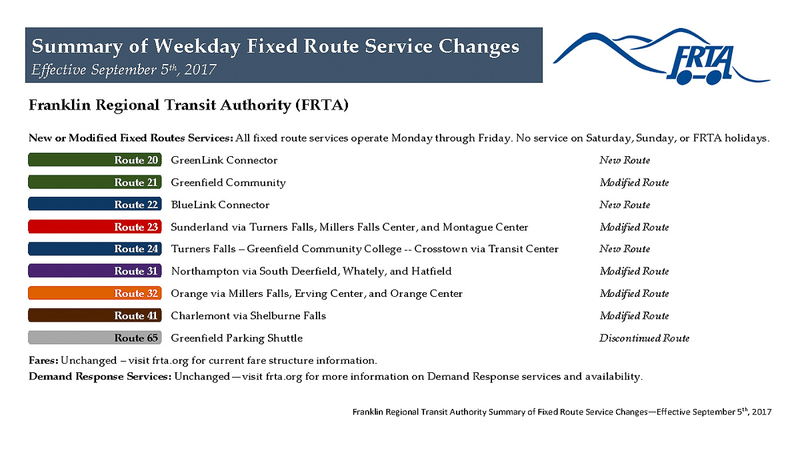 Unfortunately though the FRTA fixed-network continues to be one of the only two regional transit authorities in the commonwealth that do not provide service on Saturday, Sundays and holidays – despite the continued efforts of the advocacy group Transportation Justice for Franklin County Mass. Just to say it one more time – buses are important for the Pioneer Valley. Next time you take the train ask yourself, “can I take the bus to the station instead of a car?” Chances are, the answer is yes.